The basic motive of this group is to encourage people who are interested in pursuing theatre in any field whether it is writing, acting, direction, sound & light design or even back stage assistance. 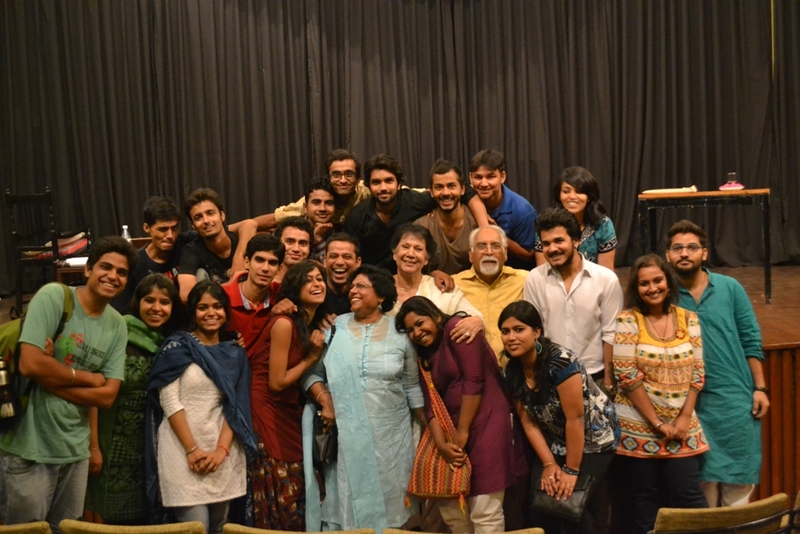 Wings Cultural Society is an open platform for anyone who is genuinely interested in and passionate about theatre. Our events & meetings takes place from time to time so kindly keep in contact to be a part of these and please feel free to critique, give suggestions about our work by posting your valuable comments. Sanjay Hegde is a senior advocate at the Supreme Court of India, practising for over two decades. He is a frequent media commentator on legal affairs in the print, television and digital media. He is a theatre enthusiast and a history buff with a keen interest in the monuments and heritage of Delhi. Salima Raza is closely associated with theatre, radio and television for over the last 50 years. She has graced all these arenas as an actor, compere and director. Raza is passionate about reviving Urdu language and literature and she ardently encourages today’s youth to do so. Dinesh Kumar Pandey is a Chartered Accountant by profession. He has a wide experience in the field of finance, taxation and account. besides his professional work, he contributes his time and experience to promote Indian culture and tradition through theatre, social work and various cultural activities. Danish Iqbal is a Playwright, actor, teacher, writer, researcher and media person. Danish has worked with some of the best thespians like Utpal Dutt, M.S Sathyu, Reoti Saran Sharma & other young theatre personalities. He has won many prestigious awards like ‘Mohan Rakesh’, ‘Public Service Broadcasting’, ‘Gandhian Philosophy’ awards & honours. Tarique began his theatrical endeavour in 2004. His passion for performing arts took him to some of the most significant persona of theatre in India which gave him an intensive understanding and exposures in this field. He has also played major characters in a Cinema and two TV serials. This led him to flourish his skill in his field of passion. She is eleven years old. She studies in class seventh in Somerville school. Her passion is acting and dancing.